Wed., 18 Sep. - Mon., 21 Oct.
Fri., 13 Sep. - Sun., 6 Oct. Tue., 1 Oct. - Sat., 2 Nov. Tue., 8 Oct. - Tue., 5 Nov. Mon., 6 May - Thu., 6 Jun. Fri., 3 May - Wed., 31 Jul. Wed., 13 Nov. - Thu., 13 Feb. Tue., 1 Oct. - Wed., 30 Oct. Tue., 10 Sep. - Mon., 30 Sep. Tue., 4 Jun. - Wed., 12 Jun. 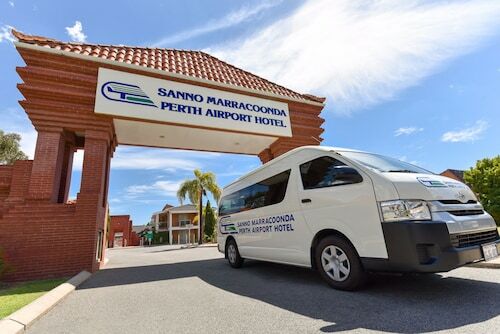 Situated near the airport, this hotel is 1.2 mi (2 km) from Ascot Racecourse and within 6 mi (10 km) of Crown Perth and Optus Stadium. Nib Stadium and Royal Perth Hospital are also within 6 mi (10 km). 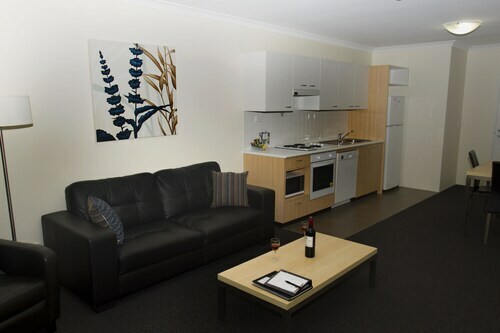 Situated near the airport, this hotel is within 6 mi (10 km) of Optus Stadium, WACA, and Hyde Park. Perth Mint and Perth Zoo are also within 9 mi (15 km). 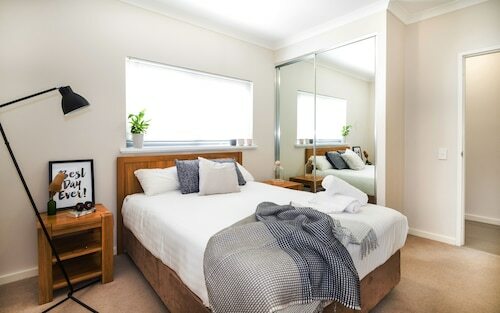 Situated near the airport, this aparthotel is 2 mi (3.2 km) from Ascot Racecourse and within 6 mi (10 km) of Crown Perth and Optus Stadium. Nib Stadium and Bayswater Waves are also within 6 mi (10 km). 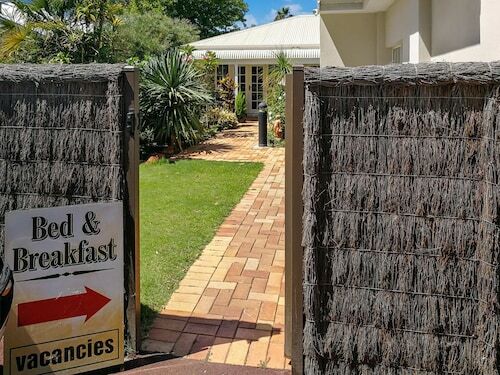 Situated in Redcliffe, this bed & breakfast is 2 mi (3.2 km) from Ascot Racecourse and within 6 mi (10 km) of Crown Perth and Optus Stadium. Nib Stadium and Bayswater Waves are also within 6 mi (10 km). 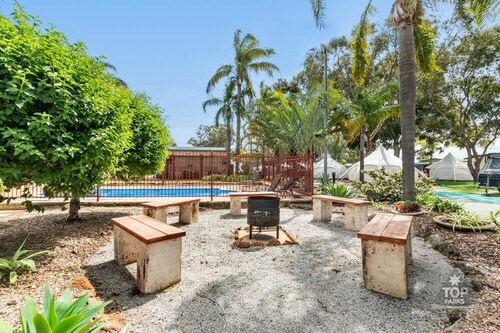 Situated in Redcliffe, this hotel is within 9 mi (15 km) of WACA, SCITECH Discovery Centre, and RAC Arena. Kings Park War Memorial and University of Western Australia are also within 12 mi (20 km). 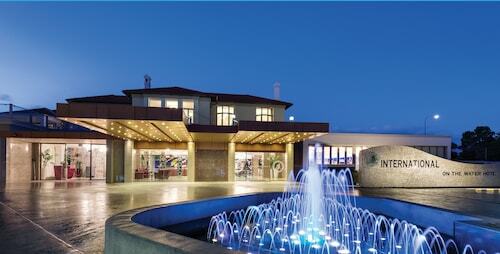 Situated in Belmont, this hotel is 0.8 mi (1.3 km) from Ascot Racecourse and 3 mi (4.9 km) from Crown Perth. Optus Stadium and nib Stadium are also within 6 mi (10 km). Question : What is the cheapest airline flying from Calgary to Perth? Answer : Delta Air Lines is the leader in keeping costs down for their passengers over the next three months. Fares are being booked at just $1,308, which is a great deal when compared to the high-end bookings of $13,449. Answer : The cheapest day to fly from Calgary to Perth is on Wednesday. If you want to save a little cash on your next trip look for flights on Wednesday. Answer : You sure can and you may save by changing when you take off. The cheapest day to fly in April is Wednesday. If you like to go with the flow, you may just find that you can pocket some cash that you can use for future trips. Question : How much time do people spend in Perth? Answer : The average time spent sightseeing in Perth by passengers from Calgary is 20 days. However long you decide to stay, give yourself plenty of time to see what makes Perth fantastic. Question : How much is a plane ticket to Perth (PER) from Calgary (YYC)? Answer : Cost can range anywhere from $1,308 to $13,449, prices for YYC to PER do change a lot more than the majority of routes from Canada. The further out you book, the more likely you are to save. Question : What is the cheapest date to fly to Perth? Answer : If you are needing to save heaps, look at May 2nd. As of Apr 15th, it's showing the cheapest ticket at $1,308. That is 5% below the average price for this route, so you can spend that extra money on a fun experience in Perth.